Opium is used in the production of drugs such as heroin. It is critical that an individual who takes too much opium gets help recovering from opium overdose. An opium overdose treatment program can provide you or your loved one with the medical treatment you need as well as critical addiction recovery services. Bluish coloring in the lips and nails. In 2014 about 435,000 people were currently using heroin, an opium-based drug. If you or someone close to you is abusing opium or an opium-based drug, it is important that you seek help right away. Please contact us at 1-888-319-2606 Who Answers? for help locating opium recovery facilities in your area. Individuals who suffer from substance abuse, including opium addiction, often experience a number of mental health issues. It is imperative to choose a treatment facility that will be able to address those issues. If you have a nutritional deficiency, a recovery center with a certified nutritionist who is trained in treating addictions may be an appropriate option. The nutritionist will be able to work with you or your loved one to design a healthy diet that will help to boost your overall health and give you the optimal chance for recovery. It will also be important for you to learn to identify the issues that could trigger a relapse in the future. For many people, such triggers could involve exposure to high-risk situations. Building a strong social support network can prove to be critical in helping individuals continue their abstinence when they leave treatment.7 To facilitate this, you may wish to choose a facility that will allow the participation of friends and family members while you or your loved one is in recovery. “Building a strong social support network can prove to be critical in helping individuals continue their abstinence when they leave treatment.”If you need assistance in locating an opium overdose recovery center, contact us today at 1-888-319-2606 Who Answers? . We are available 24 hours per day and seven days per week to speak with you. Recovery from opium overdose is possible. 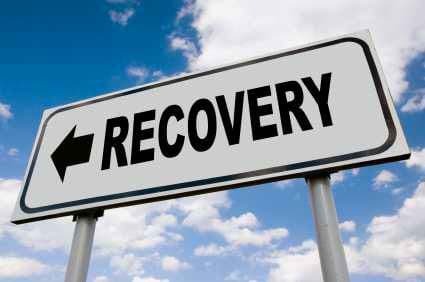 No matter how bleak things may appear at the moment, help is available to assist you in overcoming your addiction. Take the first step today.
. Maisto, S.A., et al. (2015). Opiates. Drug Use and Abuse. Seventh Edition. Stamford, CT: Cengage Learning, pages 237-257.
. Tetrault, J.M., and OConnor, P.G. (2009). Management of Opioid Intoxication and Withdrawal. In Ries, R.K., et al. Editors, Principles of Addiction Medicine. Fourth Edition. Philadelphia, PA: Lippincott, Williams & Wilkins, 589-602.
. Weiss, R.D., et al. (2008). Inpatient Treatment. In Galanter, M., and Kleber, H. D. Editors. The American Psychtiatric Publishing Textbook of Substance Abuse Treatment. Fourth Edition. Arlington, VA: American Psychiatric Publishing, Inc., pages 445-458.
. Mee-Lee, D., Editor-in-Chief. The ASAM Criteria: Treatment Criteria for Addictive, Substance-Related, and Co-Occurring Disorders. Third Edition. Chevy Chase, MD: The Change Companies.
. Lee, D Y-W, and Wang, H. (2009). Alternative Therapies for Alcohol and Drug Addiction. In Ries, R.K., et al. Editors, Principles of Addiction Medicine. Fourth Edition. Philadelphia, PA: Lippincott, Williams & Wilkins, 413-422.
. Hser, Y-I, and Anglin, M.D. (2005). Drug Treatment and Aftercare Programs. In Coombs, R.H., Editor, Addiction Counseling Review. Mahwah, NJ: Lawrence Erlbaum Associates, pages 447-466.